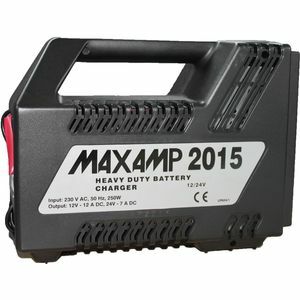 The MaxAmp LP025 is an extremely robust battery charger that can be set to charge at both 12V and 24V. 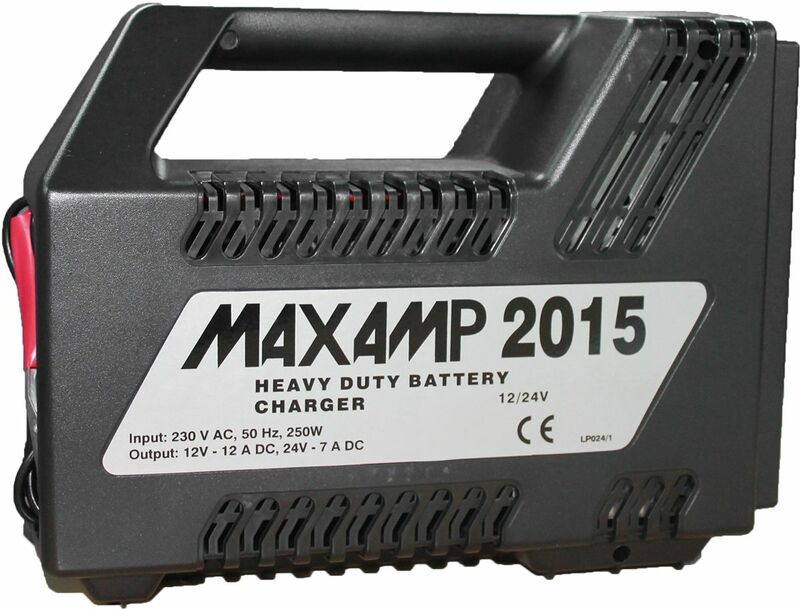 At 12V it will charge at 12Amps and at 24V it will charge at 7Amps. The charger features an easy to read moving arm ammeter display and a switch to change charge voltage.